From left, Abigail and Maritza Wiedel, with their mother, Mary Jo, decided the driving range at Haymaker Golf Course was the perfect place to spend Mother's Day. 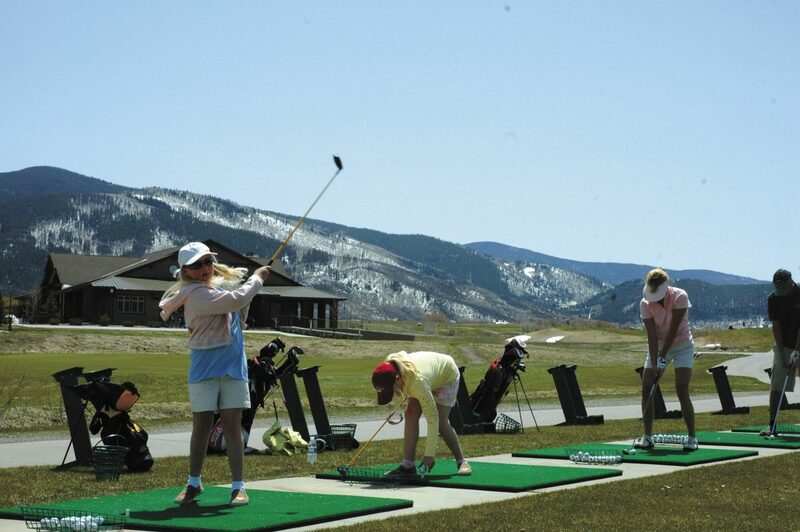 Steamboat Springs — The Haymaker Golf Management Committee is currently the city of Steamboat Springs’ hottest volunteer board. At least 18 community members have applied for three open seats on the committee, which helps to oversee the management and operations of the city-owned golf course. The applicants all think they can help improve the profitability of the course and bring more players to the greens. The applicants also bring a wide range of experience, and many of them have spent many years themselves managing golf courses or playing the game. Asked about the most pressing issues facing the golf course, several applicants mentioned profitability, increasing use of the course, taking care of locals and finding a way to better market it. Some other applicants also expressed a desire to get more youth to play the game as many of the game’s existing players grow older. The Steamboat Springs City Council will interview the committee applicants Tuesday night and make the three appointments. While the city has seen strong interest in the golf committee in the past, it has not seen this many applications before. Asked what he thought motivated so many people to apply this round, Council President Walter Magill didn’t credit the free rounds of golf that committee members get for their service or any single issue the course is facing. A review of the applications does show some different philosophies and suggestions among the candidates. Some applicants credit and applaud the direction the course has gone in recent years and want to help sustain it. Others mention some areas where they see room for improvement. The Golf Management Committee interviews are the first item of business for council on Tuesday night. Other discussion items include a work session on the future of Howelsen Hill and the possible approval of a recruiting brochure for a new city manager.